A soft ripened French cheese which is made into a flat round shape and covered with a white or straw colored crust. When ripe this cheese is creamy and flavorful, but can develop an undesirable sharp odor of ammonia when overripe. 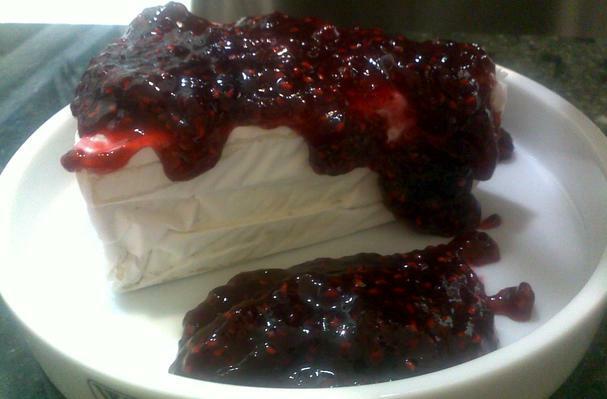 Brie is often eaten with fruit and desserts.